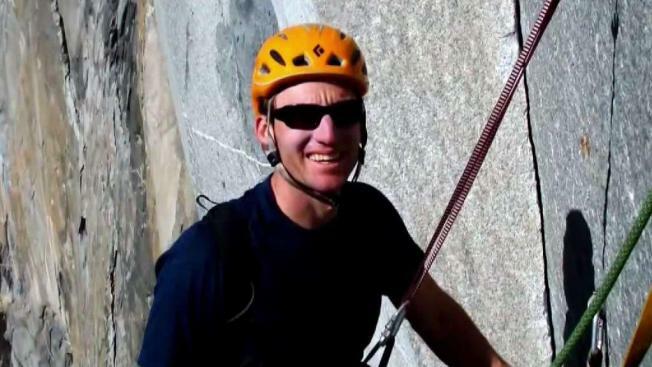 Tim Klein, one of the two climbers who died in a climbing accident in Yosemite Falls on Saturday, was a beloved and highly respected teacher from Palmdale, California. In fact, Klein was a named "Teacher of the Year" for the Antelope Valley Union High School District only a week prior to his fatal fall. "We are all heartbroken and mourn the loss of Tim Klein, our colleague and friend," Betsy Sanchez, Director of Communications for the Antelope Valley Union High School District, said in a statement on Sunday. "He was an extraordinary human being, and all those who knew him have been touched in many ways." The statement added, "Our hearts are with Tim's family, friends, colleagues and students during this very difficult time." On Facebook, Klein's wife wrote, "So this man we all LOVE, Tim Klein, went climbing with 2 dear friends, Jason and Kevin, and from what I understand there was a haul bag from a party above the dropped, and as a result, Tim and Jason were pulled off El Capitan this morning. They both are no longer with us." El Capitan is the name of a well-known rock formation in Yosemite National Park. Klein's wife, JJ Klein, told NBC4 that there was still a bit of uncertainty about how the accident had occurred or if a haul bag was indeed involved, but she was certain it had been a "freak accident." Tim Klein, 42, was an elite level climber, and his wife said he holds the Guinness World Record for the fastest indoor climb the height of Mt. Everest. According to his wife, Klein had climbed El Capitan more than 100 times. In her Facebook note, Klein's wife added, "The best thing you can do is pray for us, the boys especially. He has left a void that no man can fill. We are grateful for all the ways that you have impacted his life, as he has yours."